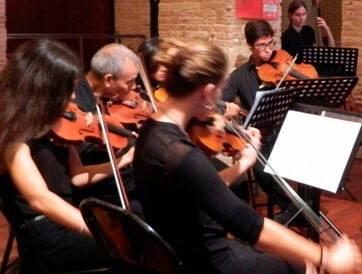 On Saturday 23th, at 12:00, will take place a concert in Valencia History Museum, within the program of Musical Societies exchange and as a tribute of International Peace Day. It will be performed by Jove Orquestra DIVISI (DIVISI Youth Orchestra) and Amigos de la Música Band from San Antonio de Benagéver. It will be free admission till complete the capacity. NOTICE: During the concert the audiovisuals of the museum will remain turned off, to avoid distorting the musical hearing.